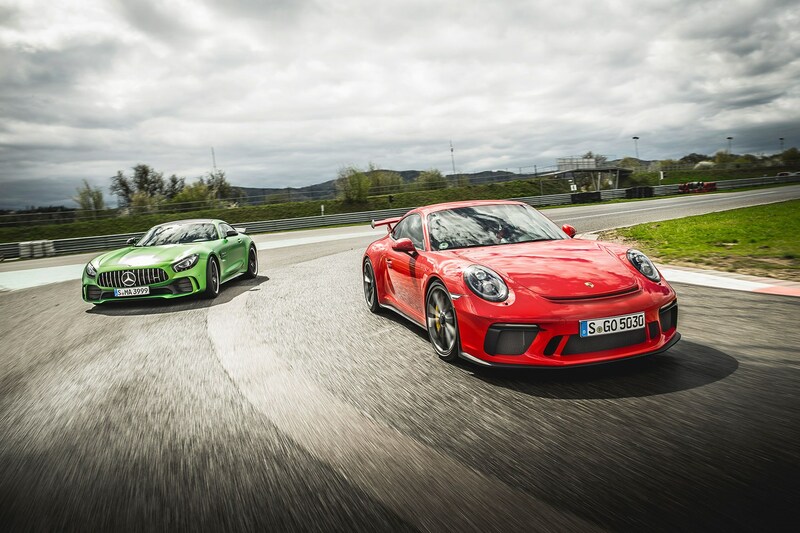 Mercedes-AMG GT R vs Porsche 911 GT3: which would you choose? ► Which Stuttgart sports car wins? Autobahn! At last, the speed limit lifts, from 80 to 100 to 120km/h to unlimited. But it takes another 60 clicks for the traffic to thin out and vacate the fast lane. The day's first chance to give ’em stick opens on the oldest stretch of the A92 between Munich and the foothills of the Bavarian Forest. And when that opportunity does finally arise, we grab it with both hands. At a more modest pace these curves through the pan-flat plains would be barely noticeable, but at 150mph-plus a close reading of the road ahead is essential. The porous slabs of concrete have drifted apart over the years, millions of trucks have carved out wavy washboard ruts, and there are some sudden and drastic camber changes. Although the morning is dry and calm, the single-digit temperature read-outs suggest that grip may be an issue over bridges still damp from the night and through the wooded sections. 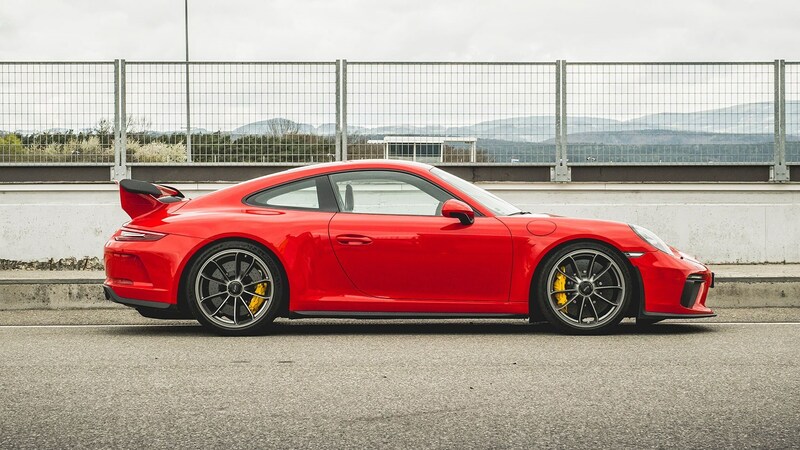 The new 2017 Porsche 911 GT3 is leading when the first proper gap presents itself, but it could easily be the other way around. 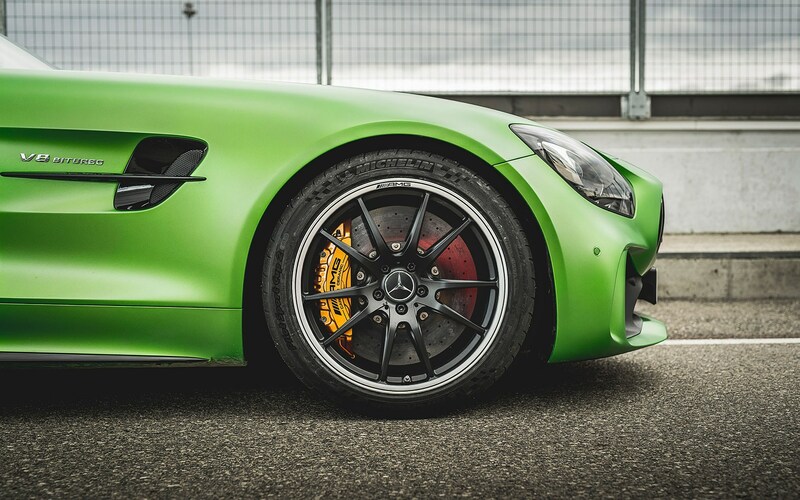 As both drivers simultaneously engage go-for-it-mode, the Mercedes-AMG GT R gains ground quickly, thanks to its big power advantage. In just about any gear, from the word go all the way to the near-200mph top speed, the Merc is at least as fast as the Porsche. And yet the driver of the 911 couldn’t care less; he’s too busy with his foot to the floor, celebrating each blaring 9000rpm upshift. 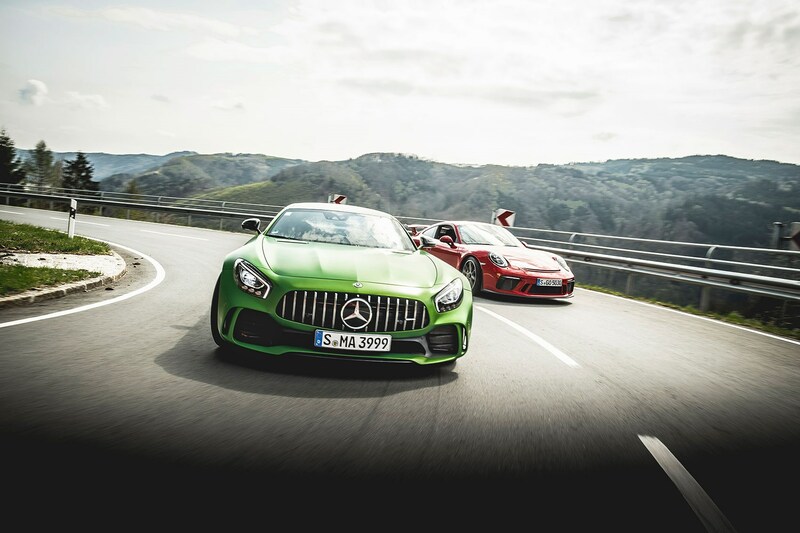 Here and now, driven like this, these two Stuttgart sports cars are closely matched. But there are as many differences as there are similarities. They’re both rear-wheel-drive coupes with seven-speed, twin-clutch transmissions. But the Mercedes, with its front-mounted twin-turbo V8, has an 84bhp/177lb ft advantage over the Porsche; the Porsche, with its rear-mounted, naturally aspirated, horizontally opposed six, is shorter and lighter. At times the AMG seems like it’s trying to be two cars in one. In Comfort mode, with the transmission locked in Drive, it’s a laid-back rumbler with drawn-in claws and half-closed LED eyes. In Sport and even more so in Sport Plus, however, all hell breaks loose, with full-throttle manoeuvres accompanied by acoustic earthquakes which come and go in waves, accentuated by fake heeling and toeing, chip-generated lift-off misfiring and that howling part-throttle wah-wah. It’s quite something. 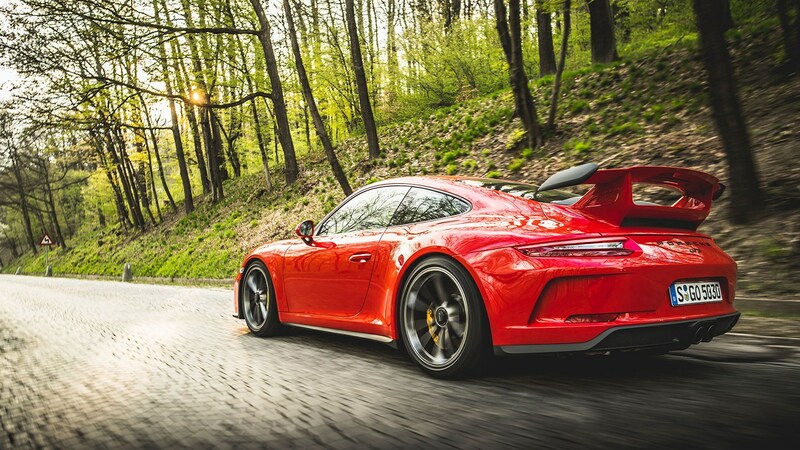 So’s the GT3, especially on twistier roads, which it attacks with verve. Beneath the go-faster body, a battalion of high-tech helpers are working a thousand minor miracles a second, juggling rear-wheel steering, adjustable dampers, big tyres, active engine mounts and sophisticated electronics into a breathtakingly dynamic whole. To find out what else it can do, and to see how it holds up against an AMG clearly designed to muscle into Porsche territory, we’ve devised an adrenaline-fuelled 48-hour itinerary that includes some lengthy flat-out stints, but also some of the trickiest Austrian back roads, syrupy city crawling and one solid flat-out hour on the Wachauring racetrack near Melk. 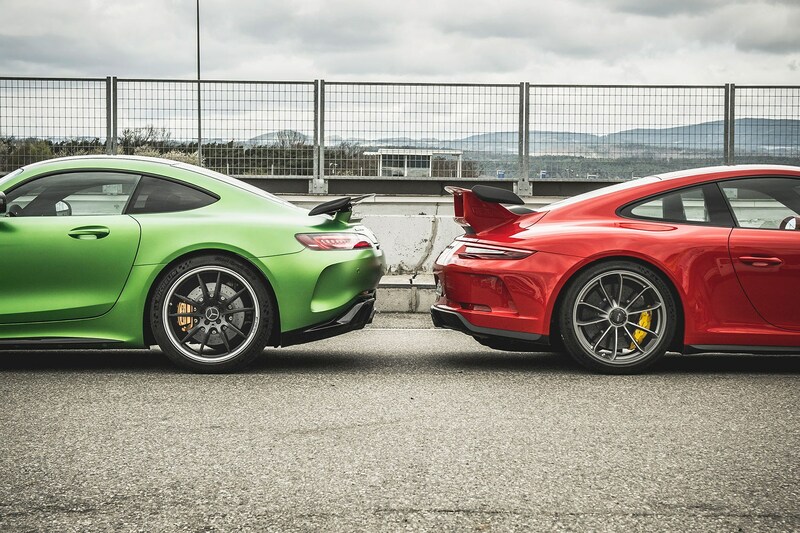 When we compared the first AMG GT S to the 911 Carrera GTS, it was the Porsche’s in-built agility that sealed the deal for the marque from the southern side of Stuttgart. Three years later, we’re back with a lookalike twosome, but this time the big bad Benz has so much more under its long bonnet, which explains why it keeps winning the dragstrip duels on the autobahn – there’s just so much in-gear punch. Every time a longish straight comes into sight, the Merc makes up what it lost through the preceding set of corners. High-revving naturally aspirated flat six or twin-turbo V8? 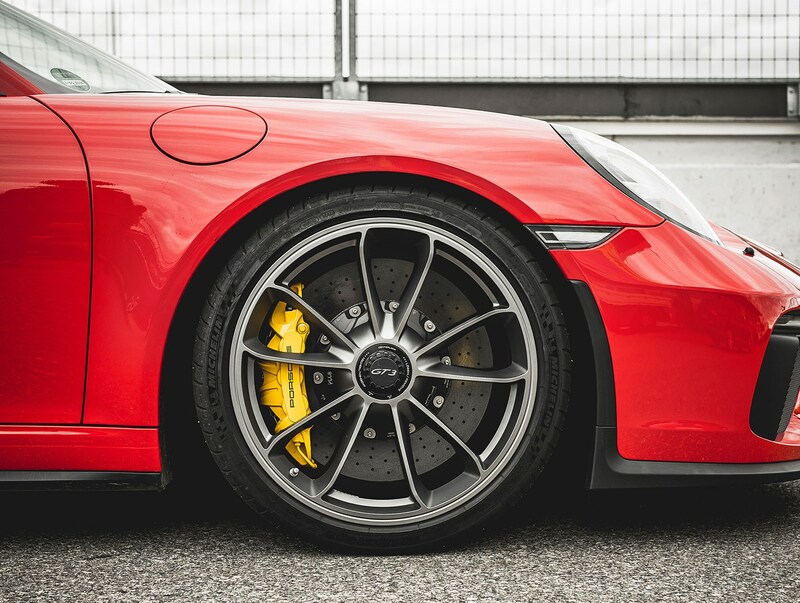 Redlined at 9000rpm, the 4.0-litre Porsche engine needs 8250rpm to deliver max power and 6000rpm to establish max torque. 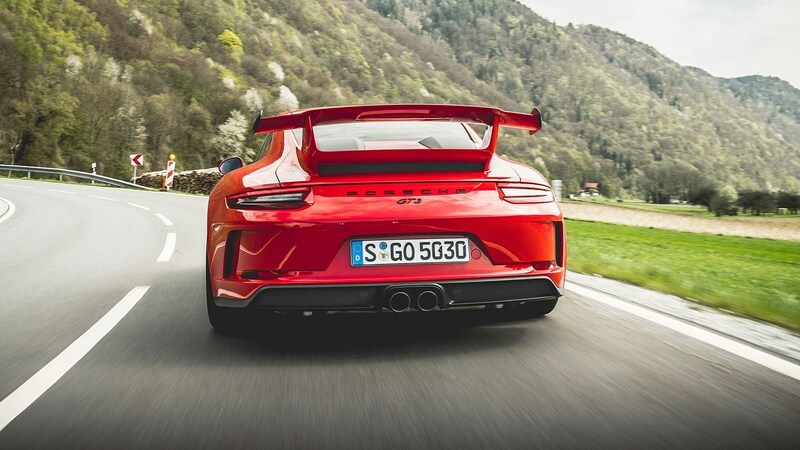 Although it gained 25bhp and 15lb ft over the previous vintage, 493bhp and 339lb ft are no real threat to the 577bhp and 516lb ft posted by the team from the northern fringe of Stuttgart. Since the manual version loses half a second to the more purposeful two-pedal edition in the 0-62mph sprint, we’ve picked the no-cost PDK option for this shootout. It’s a claimed 3.4 against 3.6sec victory for the 911, but in our head-to-head comparison the Benz is every bit as quick. As we head east towards Vienna, loosely following the river Danube on a very mixed set of roads, the cars’ different characters emerge. 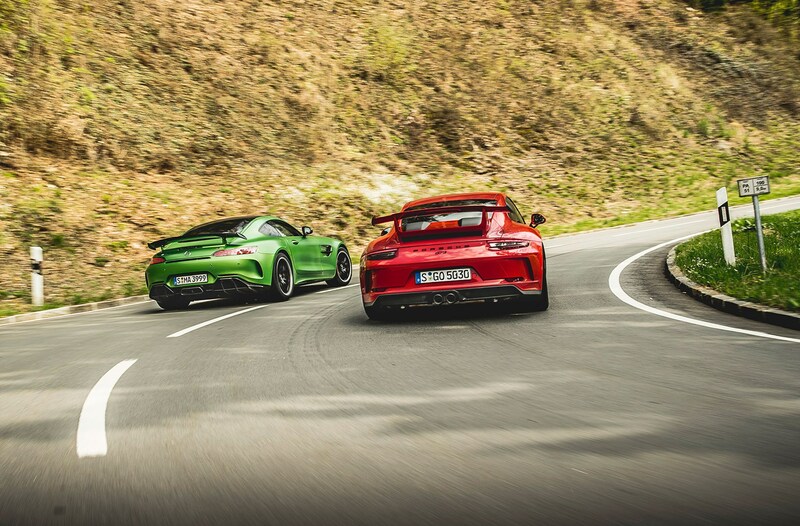 The GT R is more GT than R; the GT3 is more R than GT (although a sharper GT3 RS is still to come). Despite its slightly more compliant suspension, the Porsche struggles to relax, let go, drop revs. Instead, it is totally committed at all times, noisily hurling loose chippings through the echo-chamber wheelarches, highlighting the aggressively informative low-speed ride, letting the manly intake rasp and the dense exhaust rumble do the talking. In the rolling hills near Vienna, on the far side of the busy commuter belt, we pull out all the stops in Germany’s finest sports cars. Once more, the different engineering approaches offer a mix of strengths and weaknesses. Traction? Advantage Porsche, which can put all the weight and energy on its hind legs at all times. Turn-in? A dead heat, at least in the dry when the front tyres bite until the entry speed is simply too silly for public roads. Mid-range grunt? 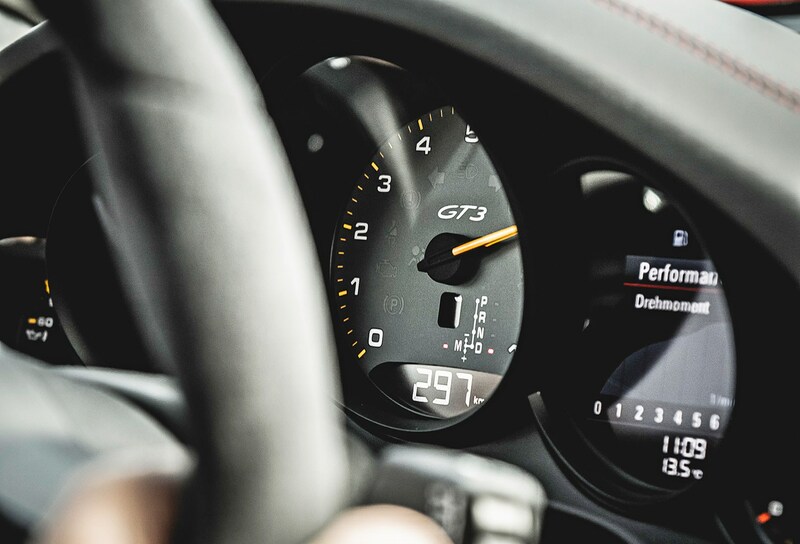 Advantage GT R. The peak torque, on tap all the way from 1900 to 5500rpm, is more than a match for the extra 2000rpm the Porsche driver can squeeze out of the boxer engine. Although both coupes are crammed with high technology, cold rubber gives iffy traction and cornering grip can be a guessing game. While the AMG is always liable to wriggle its tail before ESP quickly catches it, 911s have been known to understeer into oblivion and oversteer tail-first into the ditch. 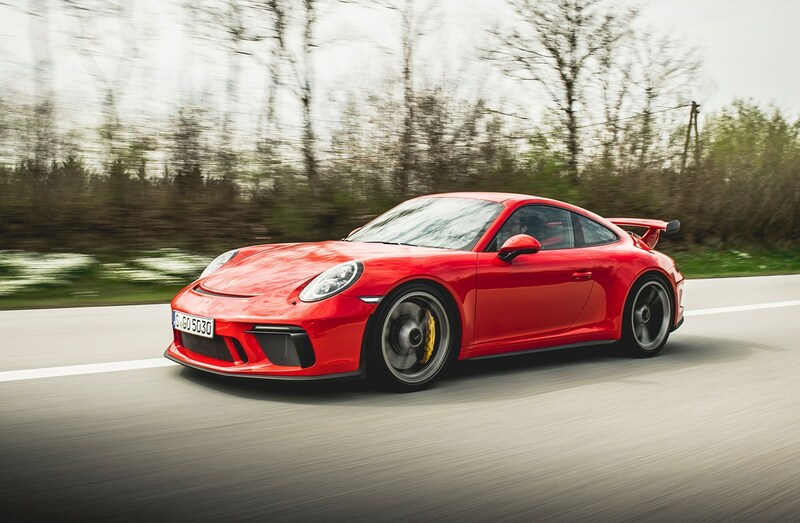 The GT3 mitigates this inherent vice by offering a ‘paddle neutral’ feature, which disconnects the rear wheels from the drivetrain the instant both shift paddles are pulled. It works, but first you must remember it exists, and then do what you have never done before, in defiance of your instincts. Ride, handling: which is best at a B-road blast? In both cars, the driver needs quick reactions whenever ample oomph meets dubious grip. Through the open bends which snake up and down the Danube valley, it’s a game of release and catch, pumping the throttle and constantly adjusting the steering angle. It’s a little easier to kick the more frivolous GT R into play mode than the staunch 911, but as soon as the rear end veers sideways the AMG is a bit of a handful. Perhaps switching off ESP altogether wasn’t such a wise move. Perhaps we should instead play some more with the multi-mode traction control device which harbours eight stages of drama, from mild to wild. 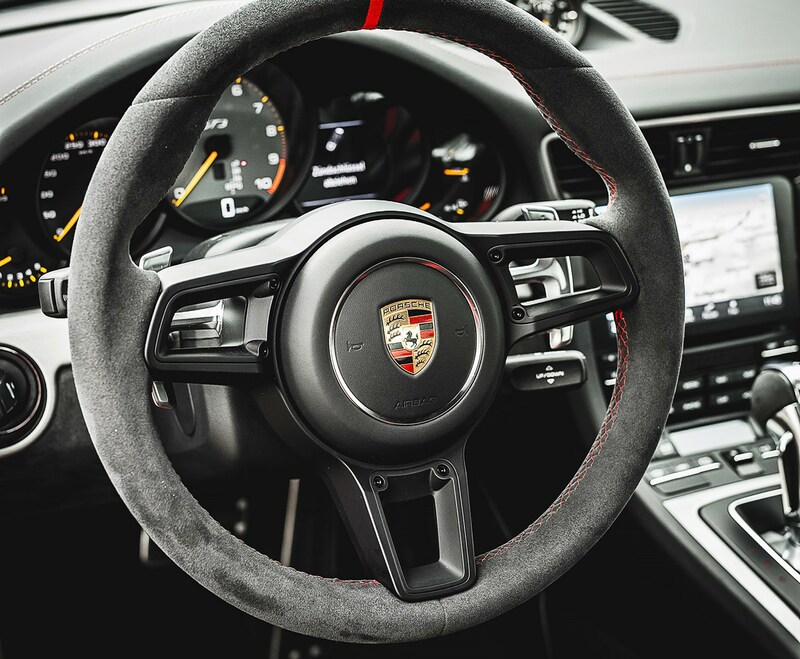 The geometric buttons in the old-fashioned centre console of the GT3 invite you to turn up the exhaust volume, adjust the shock absorber calibration, speed up the drivetrain response, and deactivate ESP either on its own or together with ASR (automatic slip regulation). It’s a straightforward arrangement – no drive mode selector, no tweaking of springs and steering, no personalised mix-and-match programme. In classic GT tradition, this is a 911 served straight up, no ice and no water, without tonic or Coke. It’s a slightly more accessible set-up than the previous GT3, with fewer rough edges, totally involving yet charmingly viceless. The GT R is loud, flashy and outlandishly fast. In contrast to the almost austere driver environment favoured by Porsche, the AMG is a true luxo-sport steamhammer, an insatiable long-distance mile-gobbler, a pragmatically practical daily driver. 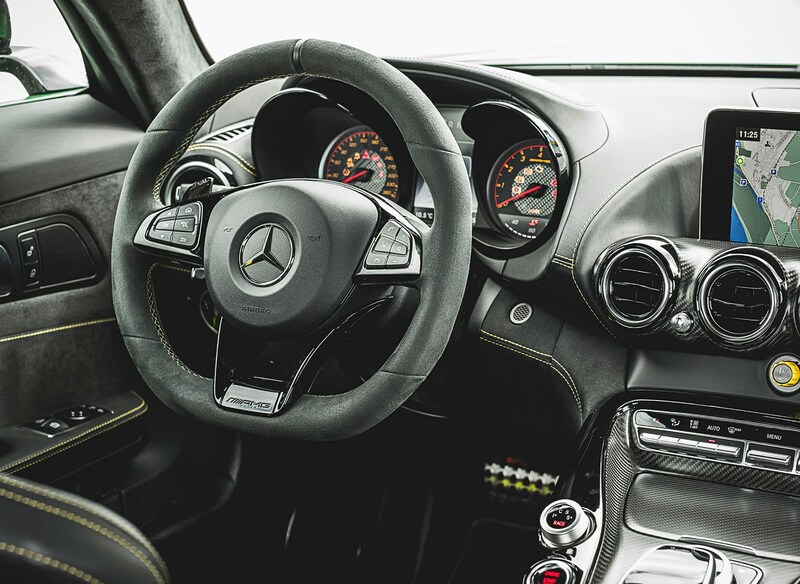 From the mean sharktooth grille over the monstrously overcrowded cockpit to the bouquet of driver assisting mod cons, this is a Mercedes-Benz as much as it is a bespoke AMG creation. Despite the bulk, the cabin space is snug, but the boot is easily accessible and big enough at 350 litres, versus the meagre 125 litres of the Porsche. Like the GT3, the GT R comes with unheated body-hugging racing buckets which are adjustable solely in reach. By lunchtime on day two we’ve ticked most of our boxes. The urgent autobahn stints have sucked two tankfuls dry, the concerted attack on the twisties has coated the wheels with layers of furry brake dust, our cornering adventures have shaved measurable amounts of rubber off all the tyres, the tight alleyways in Vienna have made us fear for the jewelled wheels and the Merc’s massive mirrors. And then it’s time for our laps of the demanding Wachauring. With the exception of a second-gear corner at the end of the start-finish straight, it´s all third and fourth-gear stuff. A shower pushes the grip level from low to high risk. In view of the cold tyres and the marbles framing the racing line, ambition quickly gives way to caution. Under blue skies, the AMG goes out first to set the pace, and what an awesome pace it is. Do not underestimate this car: it is more than a low-end torque monster, a master of powerslide, a horizon-hungry zoom lens on wheels. Its talents also shine on the track, where it exhibits very quick and precise steering, mighty braking and formidable grip, achieved with sombrero-sized ventilated and cross-drilled discs, special-compound Michelin tyres (275/30 ZR19, 325/30 ZR20), trick suspension, an electronically controlled limited-slip diff and a variable-rate steering which takes g-force into consideration. Even on warm rubber, moments of tentative understeer are taking turns with angry shoulder-shrugging antics, so traction control definitely has a role to play, and the shift points need to be scaled back by 1000rpm or so in either direction. A couple of laps later, grip is back in full force, so we zoom in on the limit again by tightening the line, straddling the kerbs and stretching the braking points. Turn-in is reassuringly positive now, torque begs to be fed earlier and earlier still, and soon enough the right hand is once more reaching for that magic yellow traction control knob. 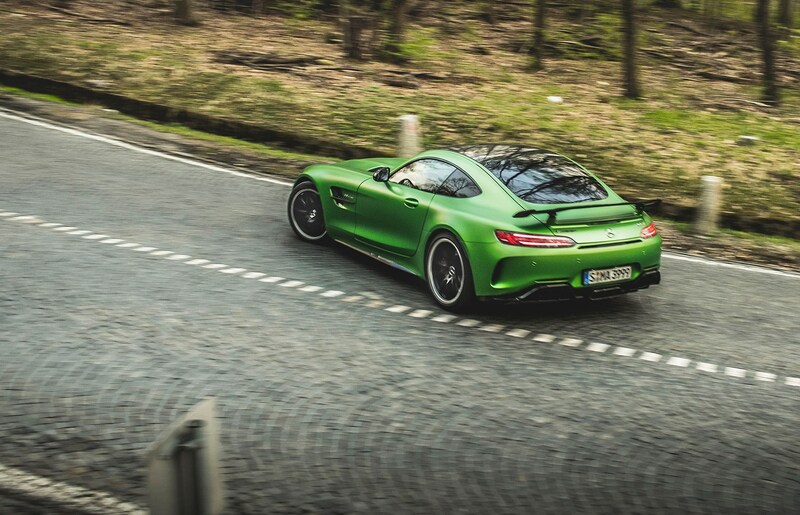 While the first AMG GT was a potent poseur, the new GT R is a competent and rewarding road and track tool. 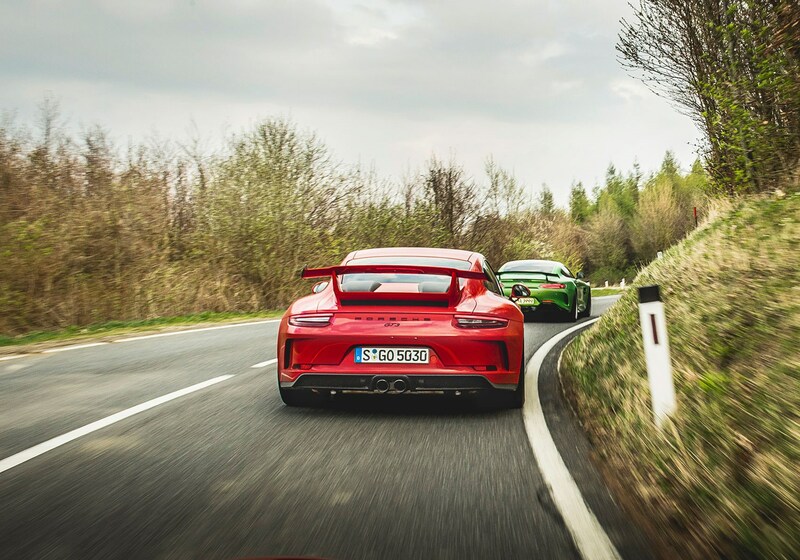 Stepping from the AMG into the Porsche is like entering a different universe – one that revels in high revs, late upshifts and even later braking. Yes, there is again pupil-widening understeer on the slippery approach to that dropping left-hander, but a brief pull at both shift paddles interrupts the push from behind, making the front tyres rebond at once with the tarmac while encouraging rear-wheel steering to tighten the arc. 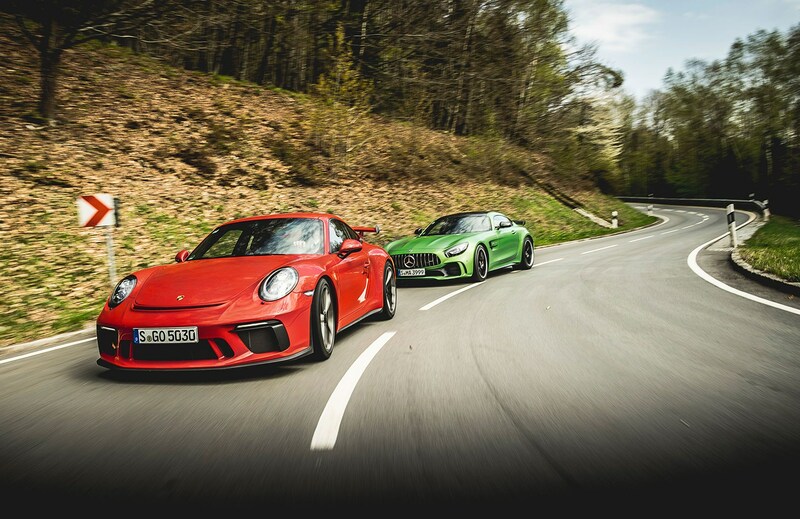 The 911 pushes, kicks and tugs when accelerating hard past apexes and through corners, as does the fierce GT R.
There is no clear winner here. The GT3 is clearly the smaller and lighter car. It lays the power down like a steamhammer on steroids, and defies g-forces long and hard. But it cannot pull away from the AMG. The GT R is as fast if not a touch faster, and an equally exciting drive. Simply, there is no duff choice here.